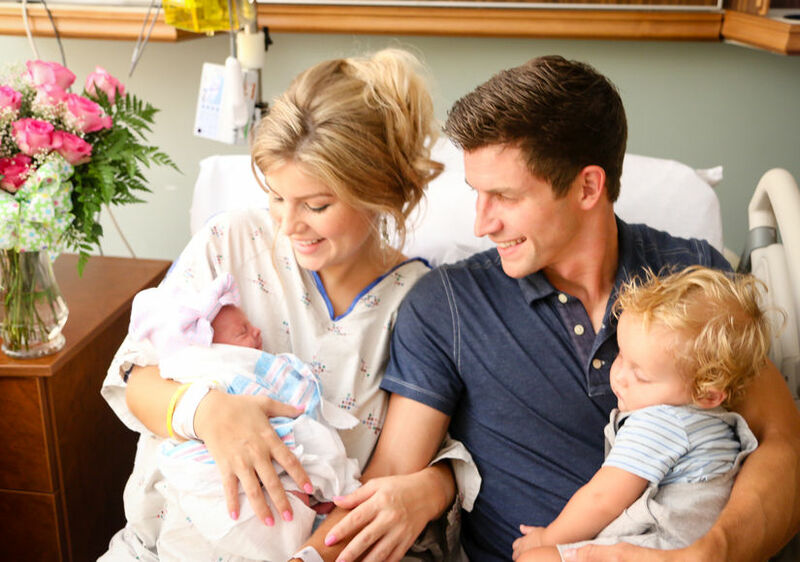 ‘Bringing Up Bates’ Stars Welcome Baby Girl — What’s Her Name? Reality stars Chad and Erin Paine have welcomed a baby girl! In February, the two stars of “Bringing Up Bates" announced they were expecting a baby, telling SheKnows, "Chad and I wanted to surprise everyone on Valentine's Day with our baby news, which meant we had to keep our news a secret for several weeks. In my family, keeping secrets is almost impossible! My family was completely and utterly shocked! With all of the previous trouble we had with miscarriages and pregnancy, I think they thought Chad and I would be the last married couple to announce baby news! It should come as no surprise that God's plans are always better than mine, but in this case, the shock factor was very present!" Chad and Erin are also parents to their son Charles Stephen IV, or Carson, who was born in May 2015. “Bringing Up Bates” airs on Thursday nights on UP.